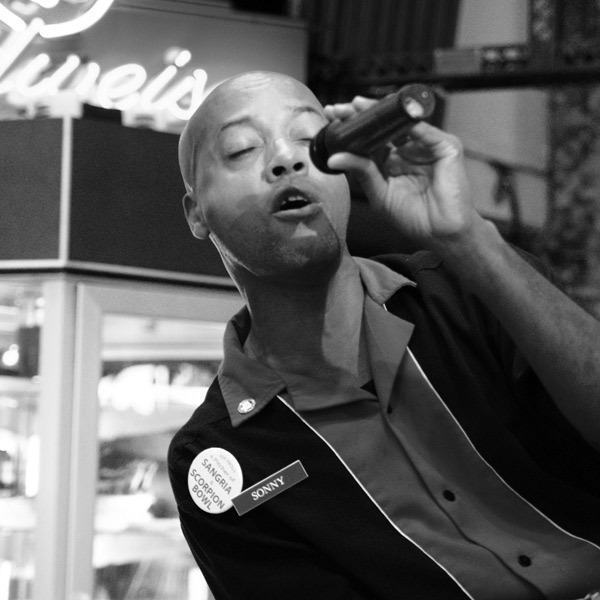 Stardust Sonny: Stardust Diner is known for its singing waiters. This was taken on my way out after some breakfast there, where Sonny had just started a set. Snapped on: Sept. 6, 2004, morning.